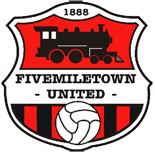 The first recorded football club carrying the name ‘Fivemiletown’ was in 1898 although we can trace football being played in Fivemiletown many years before this; making Fivemiletown Football Club one of the oldest in Northern Ireland and the only sports club still proudly carrying the name. The club currently has three senior teams with the first’s playing in the Mid Ulster intermediate A, which is a very good standard of football, the other two teams both play in the Fermanagh & Western league. We also have 7 youth teams playing regular league football from under 11s up to under 18s, with the younger ones, under 7s and under 9s, taking part in mini soccer blitz on a regular basis. Our youth academy runs for 26 weeks of the year and has approximately 160 registered children from P1 right up to 3rd year, run by IFA qualified coaches; we regularly attract 80+ at each session. Off the pitch we work hard to involve the local community & businesses, holding many social gatherings including quiz nights, BBQs etc., with everyone welcome, we also employ local trade’s people as much as possible for all our running repairs and if we need to purchase anything from fencing to a tin of paint we will try and source it locally. We have over 35 local businesses sponsoring the club in one form or another. We have received countless compliments regarding the standard of our social media coverage, and as a result it’s doing exceptionally well with over 2000 followers on Facebook and over 1100 on Twitter, this out numbers most clubs in Tyrone and Fermanagh, if you include our website and on-line store, Fivemiletown United is certainly keeping up with new technology.